So that is all from the Etihad stadium, there will plenty of content across VAVEL UK analysing this match shortly. Thank you for joining us this afternoon. Until the next time, good evening. It was far from a fluid game, and considering how both of these coaches demand their teams to play that was surprising. But in the end, there will be positives for both sides to take from this afternoon. 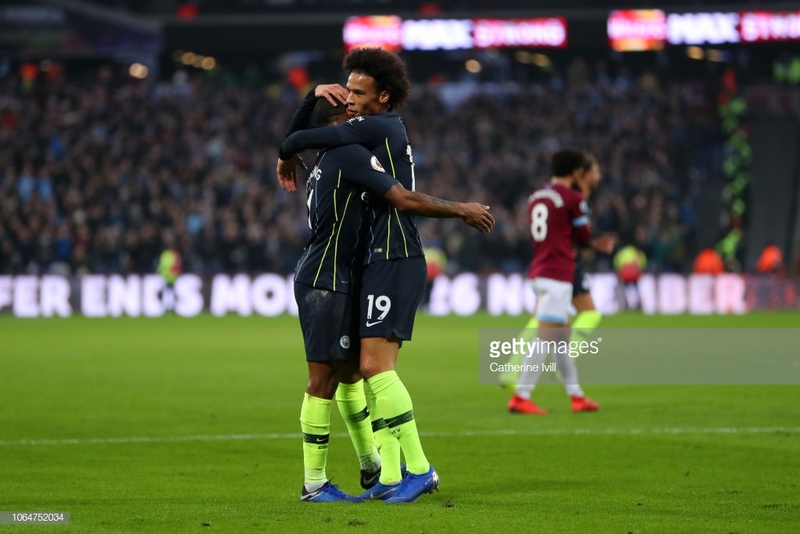 City remain unbeaten in the league, and the second half display was much better than the first half as the hosts played at a higher tempo and were more incisive with their possession on the edge of the Bournemouth area. Considering their tough test in Lyon last Tuesday, this performance will encourage Guardiola even if it was not their finest showing of the season. Bournemouth showed good attitude and with their late first half goal ending City's three month run of not conceding from open play in the league, they were very much in the match. City took the game beyond them in the second half, bringing about another defeat in a testing run of fixtures for Bournemouth. Game over. It wasn't an easy afternoon for City, but it was a winning one. Bournemouth have a corner, it's whipped in but Ederson emerges from his goalline to punch strongly and clear the ball from danger. The fourth official has indicated that there will be three minutes of time added on for stoppages. City are just maintaining possession with ease now deep in the Bournemouth half. The crowd urge Delph to shoot from about 30 yards out, but he passes up the opportunity. City's first goalscorer Bernardo Silva is going off to be replaced by Mahrez. Stanislas is on to replace Wilson. Sane goes close, forcing Begovic into a reactive save. There are nine Bournemouth players in the penalty area, but City are managing to create chances. City are relentless. They are passing and moving in a manner that will make Guardiola proud. Bournemouth are sitting deep and longing for the full time whistle. If ever there was a goal that epitomised City recently it was this one. Silva influential with a quick one-two, Sane pulling the ball back into the area and finding Gundogan who finishes with a one touch finish past Begovic. Incisive, clinical, neat. That Bournemouth goal late in the first half has clearly had a positive effect on City. The hosts have been much better this half with Sterling at the centre of it. They have created more chances and the tempo has been increased. Bournemouth have been left behind in this second half. Another chance! Jesus produces a lovely piece of skill to beat Cook close to the touchline. The Brazilian turns the defender and threads the ball towards Fernandinho but his shot was off target. City are enjoying much more incisive control now. Sterling is beating Daniels time and time again on the far side of the pitch. The visitors are getting a little frustrated and fouling a little too often. City take the lead for the second time this afternoon. Sterling releases Jesus who fires a shot across the area and is only parried by Begovic straight into the path of Sterling who fires the ball into the roof of the net. It will go down as a goalkeeping error as you cannot afford to fumble the ball in that area. Zinchenko will not be returning as he is replaced by Fabian Delph. Rather it is City who are looking to be a goal up by the time their patched up right back returns. Sterling slaloms from right to left and fires a shot towards goal, it comes back off the post and is cleared by Bournemouth. Zinchenko is currently off the pitch receiving treatment for some cuts to his face; no, they're not from the fracas before but rather a sliding tackle that went wrong. City currently playing with 10 men, can Bournemouth take advantage? A few fisticuffs in the City area as Wilson attempts to stop Ederson from releasing a quick ball. The Brazilian does not like it and referee Attwell has to come and split the pair up. It's certainly livened up now! It's now City's turn to attack. They are moving the ball around the Bournemouth area with more purpose than in the first half. Bournemouth have come out more aggressive in this second half. Straight from the kick off they surged up the pitch towards Emerson's goal, a clipped ball from the right almost fell for Daniels at the far post. A promising start by the visitors. We are back underway at the Etihad; it's dark, it's cold and it's all square. City's one goal lead for much of the first half was increasingly vulnerable as Bournemouth saw more of the ball and played further up the pitch as the half developed. Although City did not create as many clear cut chances as would be expected for a team of their quality playing so close to their opponent's goal for so much of the half, they dominated in the central areas and were given too much space by a Bournemouth team lacking confidence in possession and conviction in pressing. The late equaliser will have improved Howe's mood but they must get tighter to City and be more aggressive in the second half if they want to even just stay level. The half time whistle is blown and despite City dominance, Bournemouth go in equal with a goal apiece. That will be a major confidence boost for Howe's men. There will be one minute of stoppage time played at the end of the first half. Bournemouth have equalised! From the last five minutes of play, you could see it coming. A lovely cross delivered by Cook is met by the head of Wilson who out-jumped Otamendi. It flew past Ederson and into the top right corner of the net. That is City's run of not conceding a goal from open play in the league gone...on the three month anniversary. Bournemouth turn up the heat! A long throw by Francis finds Fraser who pulled the ball back towards King just inside the City area. He shoots but Laporte blocks. City then counter into the space behind Bournemouth's midfield. The game is becoming more open as half time approaches. City start attack from deep, the movement in the central areas being key as Sterling takes the ball and drifts inwards, laying off Sane who fires a shot over the crossbar. Sterling is becoming increasingly involved in this match, having delivered an inviting cross that should have been converted only moments before. When Bournemouth are winning back possession they are not as confident as usual; they're playing the ball backwards too much and have been sloppy when trying to work their way further up the pitch. Perhaps the three consecutive league defeats is removing some of the risk taking that Howe's side usually deploy. For all of City's possession (70%) and where it has mainly been (on the edge of the Bournemouth penalty area), they haven't caused too much stress for Begovic. Daniels sets a rare Bournemouth foray forward in motion but the ball goes out for a throw-in and the attack breaks down. They are trying to get two-on-ones with the City full backs but currently they are not causing too much trouble. City are being allowed to dominate heavily on the edge of the Bournemouth area, possibly past experiences have scarred the visitors and they are slowly sliding deeper and deeper towards Begovic's goal. Bournemouth have enjoyed a little more possession since conceding, but they are giving City too much space in the midfield. It is more of a back five than a back three and that's allowing Fernandinho, Silva and Gundogan too much time to operate. The hosts take the lead and Bernardo Silva marks his return to the side with a goal! A long ball forward from Zinchenko saw Begovic flap at the bouncing ball, Silva picked up the loose ball in the area and fired into the net from 12 yards. Zinchenko may be seen by Bournemouth as City weak spot in the defence, but he has just shown that he is an attacking force on the left side. From a fair distance out, he aimed for the far post and his long distance shot only just went the wrong side of the post. Jesus appeared to be limping slightly just a moment ago, he has only just come back from injury and didn't travel to Lyon during the week. There are no City substitutes warming up yet, so presumably he feels he can run this off. Sane again tests Begovic. He is so quick on the far side, this time he cut in on to his right foot and produced City's first effort on goal with his strike. Bournemouth clearly have a strategy to expose City's left back area by launching long balls towards Zinchenko. King could have the better of the Ukrainian when one-on-one and it will be interesting to see how that duel develops. Bournemouth create their first meaningful chance - Wilson saw the ball arrive towards him from a low sweeping cross but could not get enough on it to trouble Ederson at the near post. City start very quickly; Sane sprints down the left side of the pitch and sends the ball across the Bournemouth penalty area but Begovic manages to claim. Ominous start by the hosts. Bournemouth get us underway kicking from right to left in their white away strip. The players are on the pitch and preparing for kick off. Bournemouth are going to start with a back three and limit the space available for Jesus, Sane and Sterling in the City attack. We are now just awaiting the referee's whistle. The changes that Pep Guardiola has made are telling of just how much his side were tested on Tuesday evening. With a League Cup quarter final coming up in midweek, and a visit to Chelsea next Saturday, the five changes are understandable. Sergio Aguero isn’t even in the matchday squad, while David Silva is rested but on the bench just in case. Danilo comes in for Kyle Walker, while Nicolas Otamendi is in for John Stones. Riyad Mahrez is also out, with Bernardo Silva, Ilkay Gundogan and Gabriel Kesus all starting. 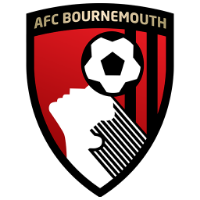 For Bournemouth, Andrew Surman, Lewis Cook and Tyrone Mings come into the side, with Dan Gosling, David Brooks and the suspended Jefferson Lerma making way. Subs: Walker, Kompany, Delph, Silva, Mahrez, Foden, Muric. Subs: Boruc, Gosling, Mousset, Defoe, Stanislas, Brooks, Rico. When we are not able to win the games, people will say we cannot keep the standard but we have been at the same level for the last 15 months so I don't have any reason to think we will not be who we are. That doesn't mean win or lose but the way we approach the games, I don't see any signals to see we are not going to try and be who we are. We know it will be hard and City are the side we've struggled the most against, but I see the game more as a positive challenge than a negative one. It isn't damage limitation for us, but it is an opportunity to create a historic moment for the football club and to do our best in the game. Our record doesn't sound great but I think that is for most teams going to Manchester City in recent seasons. But every time we have gone there we have really grown and learnt from the experiences, although they have been painful. Gabriel Jesus, Ilkay Gundogan and Bernardo Silva will all be assessed prior to the match as they were absent from Tuesday’s draw in Lyon due to minor injuries. City also have more long-term injury issues as Kevin de Bruyne, Benjamin Mendy and Claudio Bravo all remain sidelined. Bournemouth may well be without Dan Gosling for the trip to Manchester as his slight knee issue hasn’t fully recovered from the defeat to Arsenal last weekend. Midfielder Jefferson Lerma, who arrived from Levante in the summer, is suspended for the match after accumulating five yellow cards. What Lyon showed during the week was that Man City can be got at and frustrated, Bruno Genesio’s tactics ensured Lyon drew with the reigning Premier League champions and Eddie Howe will have watched on and gained some confidence in how to address this match. Bournemouth, however, do not have a very good record away at the Etihad having lost 4-0, 4-0, 5-1 in their most recent trips. What Howe’s side will come up against is a team that are efficiently and, in some respects, effortlessly staying atop the Premier League table. Scoring 40 goals in their 13 league matches already only highlights their emphatic unbeaten start. In fact this weekend marks the three month anniversary since City last conceded a goal from open play in the league, I wonder if we'll get a pre-match celebration for it? This match will not define Bournemouth’s season, but having started the campaign so well, they now find themselves in the middle of a very testing run of fixtures; Arsenal last week, City this and then Liverpool, Chelsea, Tottenham and Manchester United in the next four weeks. Welcome to the matchday live blog! Hello and welcome to VAVEL UK's live text coverage of the Premier League match between Manchester City and Bournemouth from the Etihad stadium. I'm Oliver Miller and I'll be providing updates, analysis and opinion on this encounter on Saturday afternoon. It is a 3:00pm kick-off and you can bookmark this page to stay up to date with the latest updates and team news as the match approaches.